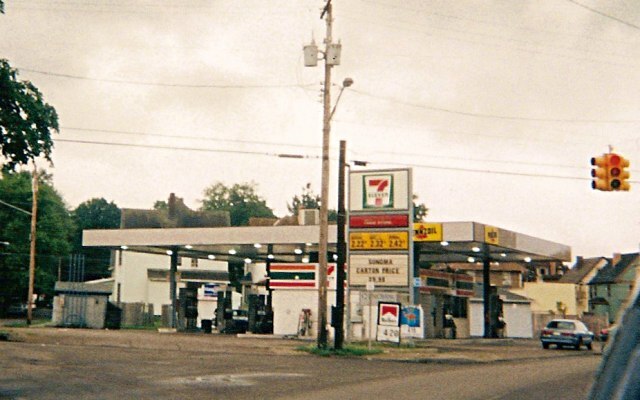 A 7-Eleven store co-branded with Pennzoil, located on Highland Ave. in New Castle, PA.
Photo taken in summer 2005 by Joe Gerard. 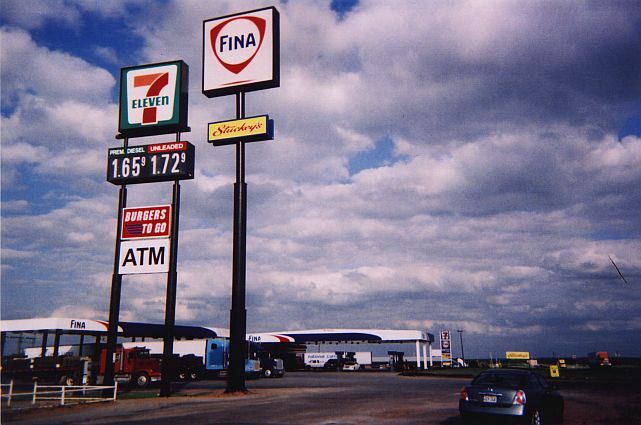 A 7-Eleven co-branded with Pennzoil on PA 65 in Shenango Township, just outside New Castle, PA.
Photo taken in summer of 2005 by Joe Gerard. 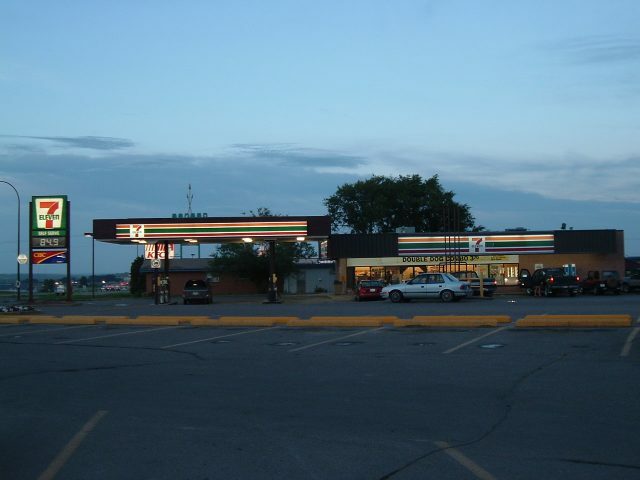 Swift Current, Saskatchewan. 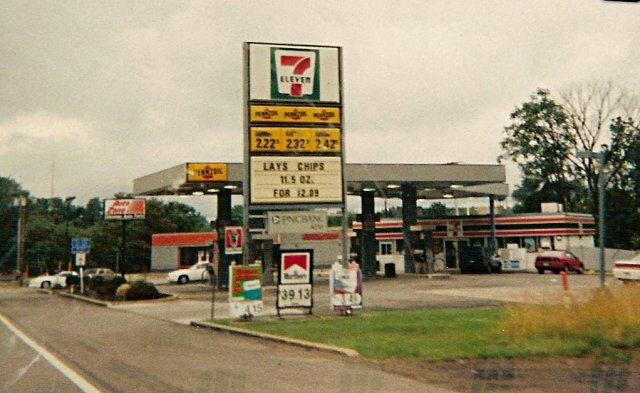 Taken July 21, 2004 by Travis Meginbir. 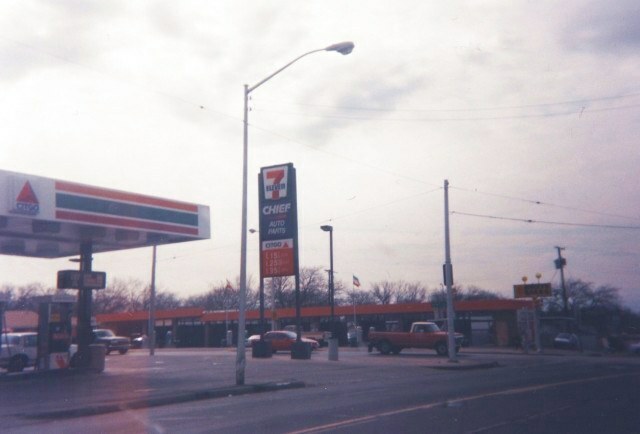 A 7-Eleven with Citgo sign at Riverside Dr. and Belknap, Fort Worth, Texas. 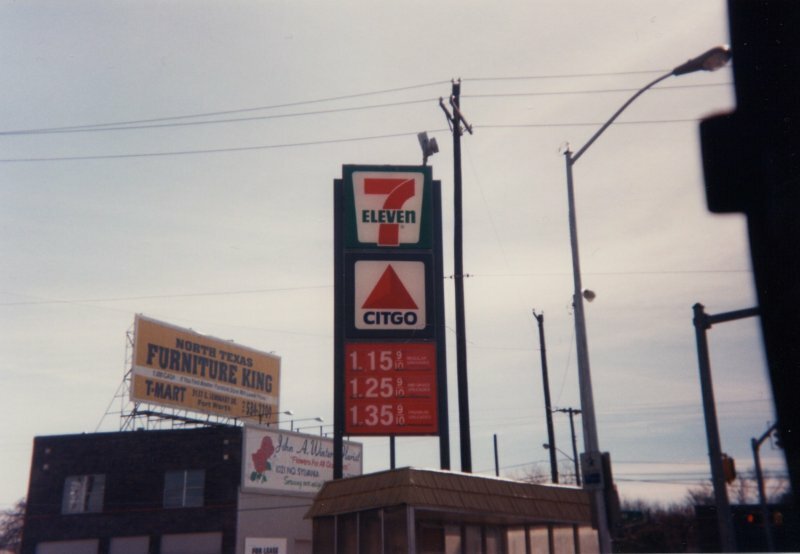 Photo taken in 1997 by John Cirillo. 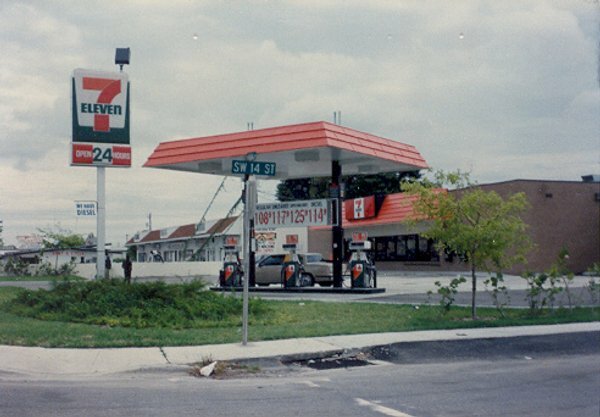 A 7-Eleven in Pompano Beach, Florida on Dixie Highway, Feb. 18, 1977.
as an afterthought, sometimes years after the store was built. which was the standard deal for quite a few years. set back a bit more and the island has grown to three double pumps. 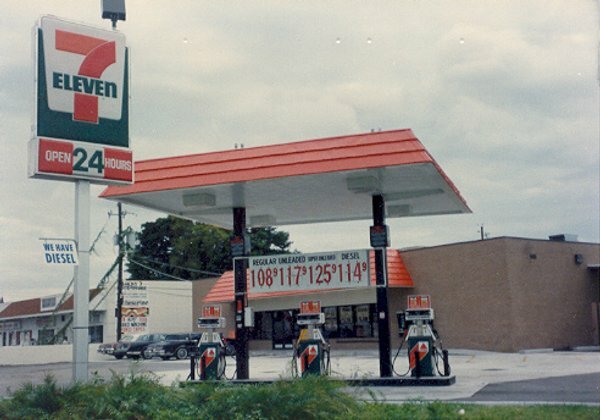 Still a long way from today's 7-ELEVEN stores, most of which have 3 to 6 MPDs. 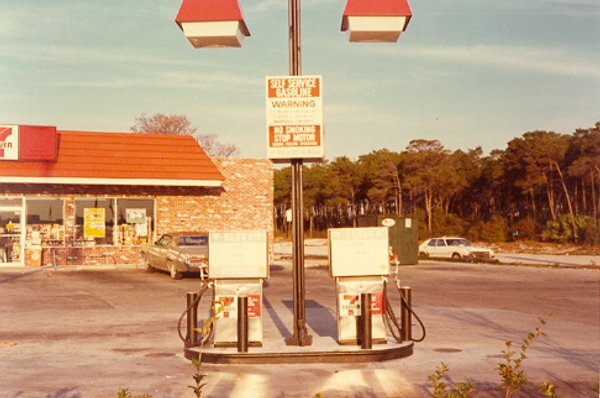 just before Chief disappeared altogether, being replaced by Auto Zone. was wrong due to the angle of the sun. I meant to go back and redo it, but too late. By the time I was back in that part of town, Chief was gone. north of Wichita Falls, Texas on US 287. Taken in May, 2004 by David Aldred.